The story begins in seventeenth-century Salem, Massachusetts, then a Puritan settlement. 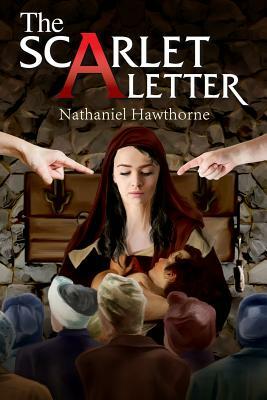 A young woman, Hester Prynne, is led from the town prison with her infant daughter, Pearl, in her arms and the scarlet letter "A" on her breast. The scarlet letter "A" represents the act of adultery that she has committed; it is to be a symbol of her sin for all to see. She will not reveal her lover's identity, however, and the scarlet letter, along with her public shaming, is her punishment for her sin and her secrecy. Nathaniel Hawthorne (1804 - 1864) Nathaniel Hawthorne (born Nathaniel Hathorne; July 4, 1804 - May 19, 1864) was an American novelist and short story writer.